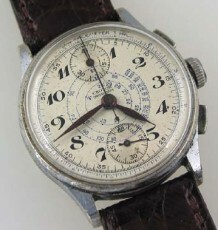 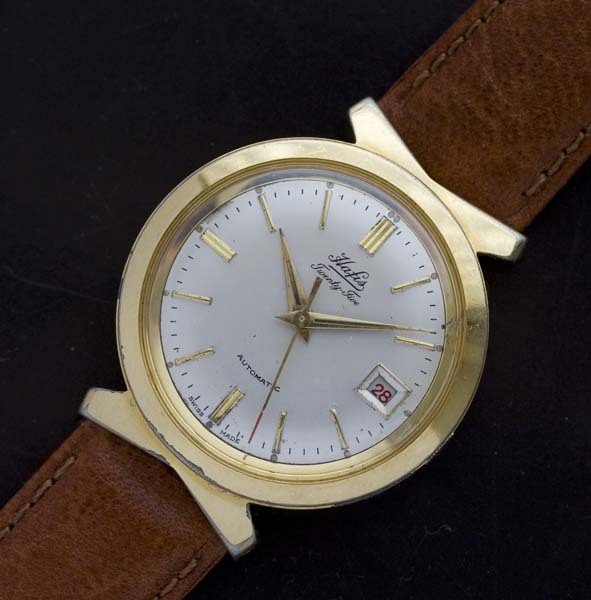 Unusual vintage watch with bowtie case lugs. 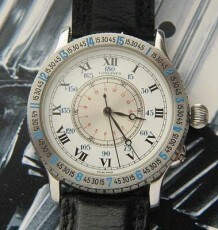 The addition of a red date disc, automatic movemetn and screwback case, make this a good value for someone looking for value in a highgrade vintage watch. 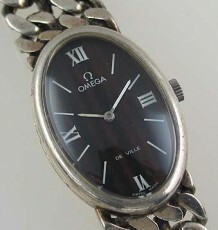 Its not often you see this much watch for such a low price. This vintage automatic watch dates to 1960 based on the light inscription on the caseback The most unusual feature of the watch has to be the attractive bowtie lugs that attach the leather strap to the gold toned case. 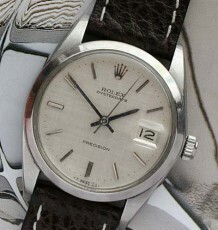 The watch is fitted with a Font 692 25 jewel automatic movement that incorporates a date display, an added bonus is the fact that the date wheel has red numerals instead of the usual black.